This autumn, I’ve been trying out a couple of products from USA company, SkinCeuticals, who are an advanced professional skincare company that are on a mission to improve skin’s appearance. To achieve this, they put their decades of research into creating products that are supported by science. Not only that, their products are also used and recommended by dermatologists, plastic surgeons, some pharmacies, medial spas and premium spas worldwide. Pretty impressive, huh? SkinCeuticals use highly potent formulas that are packed full of pure ingredients that are proven to be absorbed optimally into the skin to correct the appearance of skin ageing and to prevent future damage. 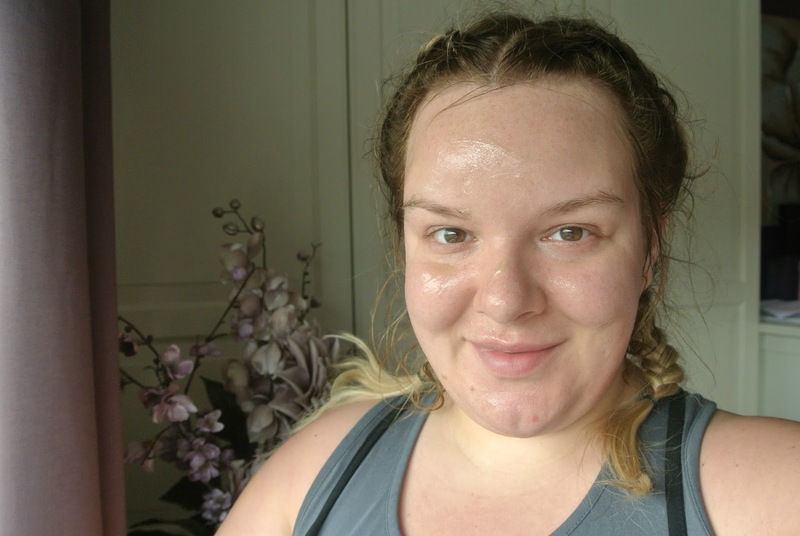 As a 28 year old, I’m really starting to notice my skin and body getting older and I want to do whatever I can to be able to ensure that my skin ages as well as possible. Prevention is better than cure after all. I also think that its really important to have a range of skincare products in your collection that can cover all bases, whether it be hyper pigmentation, skin irritation, break outs, flakiness, etc because its hard to focus on anti-ageing if you haven’t tacked these concerns as well. The products that I’ve been trying out from SkinCeuticals very much fit into this category and I think that they’ll be beneficial to a lot of people. First up is the SkinCeuticals Phyto Corrective Masque which went on sale this week. This funky looking, green gel is an intensive botanical gel masque, designed to sooth and calm temporary skin reactivity. If you’re someone who exposes their skin to the sun without adequate protection (come on, we’ve all done it! ), goes to hot yoga or if you like swimming and expose your skin to chlorine, use retinols or have non-ablative laser, perhaps to improve the appearance of your skin, then the chances are, your skin may become reactive from time to time. Skin reactivity is a temporary state that your skin can go through after it has been exposed to things such as environmental aggressors (these can also cause premature skin ageing! ), intensive treatments, exercise and post procedure, like elements that I’ve listed above. These can lead to the skin becoming red, blotchy, dull, tight and dehydrated, also known as the temporary skin reactivity that this mask aims to combat. The SkinCeuticals Phyto Corrective Masque is a treatment thats designed to reduce discomfort and redness of the skin. I have used it once after my IPL treatment on my chin but most frequently, I’ve been using it after my personal training sessions. I was finding that when I would come home and shower straight away, my skin would become sensitive to the temperature of the water, my cleansing and exfoliating products while in the shower and then the serum that I would use afterwards, before my makeup. My skin would look a little red and feel tight and irritated. While it can be used in the morning as a preventative measure or overnight as a deep treatment, I simply wash my face with luke warm water when I first get in from my training session, then I apply a generous layer over my face and leave it for a good 15 minutes, then I wash it off in the shower. The masque has a really incredible cooling effect so from the moment it is applied, it soothes my skin and starts to reduce redness and irritation immediately. Even by the time that I’d managed to take the below photograph, it had got to work! The gel itself feels cooling before it even touches my face. It is very lightweight and doesn’t really dry into the skin. The formula is oil free and it doesn’t clog the pores or leave a film on my skin. After removing the masque, my skin looks calm and visibly hydrated and it feels soothed and smooth which must be a result of the ingredients within the formula. Within the formula, this masque has double the concentration of green botanicals, including cucumber, thyme, olive and mulberry extracts, than other products in the Phyto Corrective line, a calming dipeptide and hyaluronic acid which helps to neutralise temporary skin reactivity by reducing sensitivity and binding moisture to the skin. This masque has been clinically tested and was proven to result in a 47% reduction in discomfort and a 20% decrease in visual redness as well as replenishing hydration, restoring radiance and smoothness and these effects were shown to increase with prolonged usage. The latter really excites me as I have all of my PT sessions booked in before I go to Dubai and I’ll be taking this masque with me while I’m away for when I’ve been in the sunshine all day so I’m looking forward to seeing what the prolonged results are! The other product that I’ve been trying out is the SkinCeuticals Advanced Pigment Corrector. This product is absolutely perfect for this time of the year as it helps to correct the damage that being in the sun can cause- hyper pigmentation. I love to be out in the sun and I do try to go on holiday a good few times a year to hot locations so damage such as hyper pigmentation is at the forefront of my mind, even though I do adequately protect my skin when I’m in the sun. The signs of hyper pigmentation can include uneven brown or darker patches of skin on the face, hands and décolletage which are caused by harmful UVA rays that deeply penetrate the skin and stimulate the pigment cells to produce Melanin. Melanin is what gives your skin that gorgeous tanned golden glow that lots of us want but it is also responsible for the blotchy brown patches that we don’t want. You’re best off preventing it and at the very least, catching hyper pigmentation as young as possible to try to correct it as I have found that it only deepens or becomes more apparent as you get older. I remember my nana had very apparent hyper pigmentation on her hands and she would always talk about how they were a tell tale sign of how old she was and how she was never off holiday! Hyper pigmentation is caused by more than just sun exposure; it can be caused by inflammation, pregnancy, skin injuries and acne amongst other things and this lightweight serum is designed to help stubborn pigmentation and uneven skintone regardless of how it was caused. It works by removing surface pigmentation, improving the distribution of pigment, preventing the cells that make the pigment from being hyperactive and protecting them from further damage. To be able to do this, the SkinCeuticals Advanced Pigment Corrector contains 5 key ingredients; 0.3% Salicylic Acid which is what removed the surface pigmentation, 1% Hydroxyphenoxy Propionic Acid which brights the skin and improved the distribution of pigment, 0.5% Ellagic Acid which is a plant antioxidant that prevents the cells in the epidermis that create the pigment and 5% Yeast extract which protects the fibroblasts which are the cells that produce collagen. The great thing about this serum is that it has been clinically proven to be as effective as the leading medical standard for treating dark spots, blotchiness and discolouration. It can also help to boost the appearance of the skintone overall and how radiant and even it is. It can be used morning and/or evening and theres a really great page on when to use it within your existing skincare routine on their website here. The SkinCeuticals website is a fountain of knowledge when it comes to skincare; it tells you all about the product in great depth but with easy to understand language, how the products should be used, the skin types the products are suitable for and the skin concerns they’ll target which I think is really handy regardless of how knowledgeable you are with skincare. Before making a purchase, especially from a higher end brand, I do think you need to have a good idea of what it should do for your skin to make an educated choice. I have been using this serum at night only as I don’t think that my skin is too badly discoloured. I sandwich it between my toner and moisturiser and use it on my face and decolletage as I’m really scared about ending up with a crepey discoloured chest from my time spent sunbathing on holiday! I love how light it feels on my skin as it sinks in immediately. After using it solidly for the last month, I would certainly say that it has made a difference to how even my skin looks on my face and neck. The change is subtle so far but noticeable which is encouraging me to continue using it to see the longterm benefits. After hearing me talk about this serum, my friend who does have bad discolouration has ordered a tube so I’m really excited to see how well it performs on her skin! I’ll be sure to report back and let you all know once she’s had the opportunity to give it a good go. None of the products that she currently uses are helping her skin so although this product is an investment, it is certainly a worthwhile one if it works wonders for her! Love the sound of these products? Then you can find out more about the SkinCeuticals Phyto Corrective Masque and buy here and check out the SkinCeuticals Advanced Pigment Corrector here. Ohh that masque sounds amazing – I would absolutely love to try it, especially with the fact it has a cooling effect. I haven't heard of these before, but I love finding new skin care products and it seems like you really enjoyed these. You have such lovely skin – I would really like a mask that helped clear mine up! Really great photos, and I could really do with that masque right now. My skin is awful at the moment! I haven't heard of this before, but it sounds like something that I might need. Sounds like an impressive range with some good testimonials. Anything that reduces redness is good for us! The green might put me off slightly, but the lightness is a definite bonus. I've tried a few things from SkinCeuticals before and they've been great, so would love to give this a go! I have not heard of these before, but they look and sound great. I may have to give them a try. The serum sounds great, I will recommend it to my auntie as she is looking for something similar. I really like the look of the 'funky green gel' hahaha Its does sound pretty awesome! I love your photos too! The cooling masque looks so refreshing and what a tempting green colour! I've not used either these before but they look great. I love trying new face masks and might order this after the one I have just ordered finishes. The masque sounds amazing. I want that. I didn't know sun could cause hyper-pigmentation, must try out these products for myself! Love the look of this brand, especially the green looking one!